By the end of this summer, downtown Waco will be home to a new mural. But unlike existing pieces in the area, this work of art will be crafted by an unlikely group of creatives: 10 Waco ISD high school students working alongside a team of professional artist mentors. ArtPrenticeship is an internship program organized by Creative Waco, Prosper Waco and Waco ISD that will teach a group of 10 Waco ISD high school students, or apprentices, the ins and outs of managing a creative project. Four artist mentors will guide the apprentices from concept to completion, designing and painting a mural on the side of a newly completed building in downtown Waco. We're in search of wage sponsors to serve as an accountability partner for performance throughout the summer and help provide compensation for each apprentice at the end of the program. 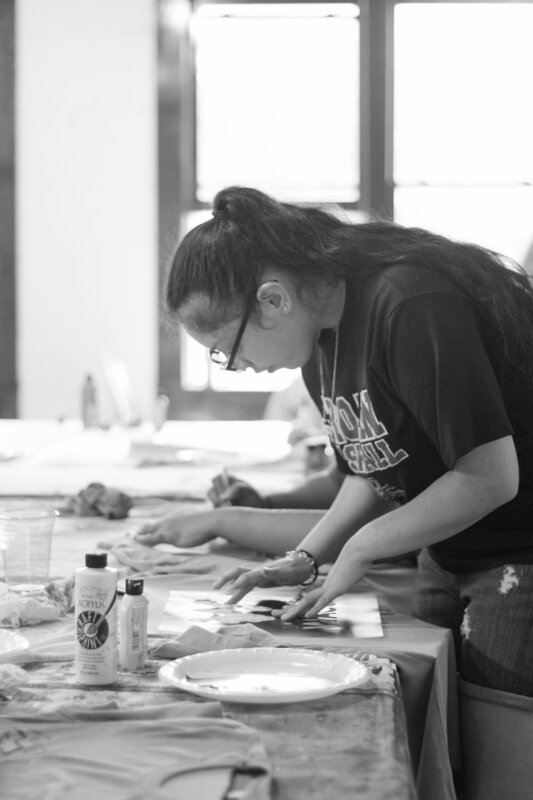 Students spent the first week painting their official ArtPrenticeship t-shirts to get their creative gears turning. Students formed goals to guide their participation in the summer mural program. ArtPrenticeship has roots in the Cincinnati ArtWorks program that Waco leaders learned about on a Greater Waco Chamber of Commerce intercity visit in September 2017. ArtWorks employs professional artists and apprentices ranging from ages 14 to 21 to complete public art projects across Cincinnati, including hundreds of murals on the sides of buildings that are several stories tall. Creative Waco has borrowed this model and shaped it to fit our own community. 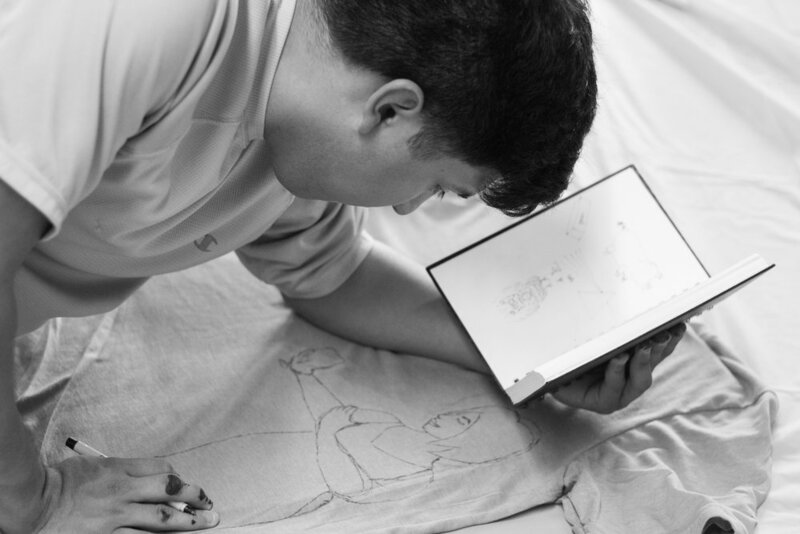 ArtPrenticeship is a unique opportunity for creative students to hone their artistic abilities while also learning professional skills necessary to thrive as an independent artist. Emphasis will be placed on safety while working on a mural jobsite, calculating costs, ordering materials, and the importance of collaboration and communication between artist, client and community. The students will work between several sites across downtown Waco, with most time spent at the mural site at 315 University Parks Drive, a shopping strip next to Bicycle World. For our program’s pilot year, the students were selected from a diverse pool of applicants through Prosper Waco and Waco ISD’s summer internship program. Two teaching artists and two assistant artists will guide the apprentices through the mural process. Between them are several years of teaching experience, as well as expertise in a wide range of artistic media, including mural installation and painting. One goal of ArtPrenticeship is to pay all participating students a meaningful wage. Creative Waco is in search of wage sponsors at $600 per student. Sponsorships not only provide a financial reward for program completion, but also ensure accountability for their productivity throughout the program. If you'd like to make a donation toward an apprentice's wage, please click here or email us at info@creativewaco.org. Creative Waco would like to extend a special thanks to our sponsors: Baylor Philanthropy, Cooper Foundation, Magnolia Foundation, Waco Public Improvement District (beautification grant), Mitchell Construction, Turner Behringer Development, Terry and Elaine Stevens, 1519LLC, and Langerman Foster Engineering. ArtPrenticeship would not be possible without the enthusiastic support and resources we've received from these businesses and community leaders.